Conditioned Air Company of Naples, LLC announced that Chief Executive Officer and owner W. Theodore Etzel III and his wife, Kim, have received the Doyle E. Carlton Award from Stetson University. The award was presented at the 2017 Alumni and University Awards Ceremony on Nov. 4 at the university. 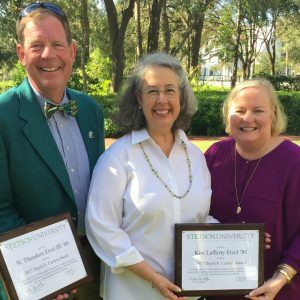 The Doyle E. Carlton Award is one of Stetson University’s highest honors and is presented annually to an alum or friend of the university in recognition of devotion to Christian higher education and in appreciation for his/her extraordinary contribution to the life and development of the university, City of DeLand and State of Florida. It is named for Doyle E. Carlton Sr., a former Florida governor and Stetson alumnus and trustee.